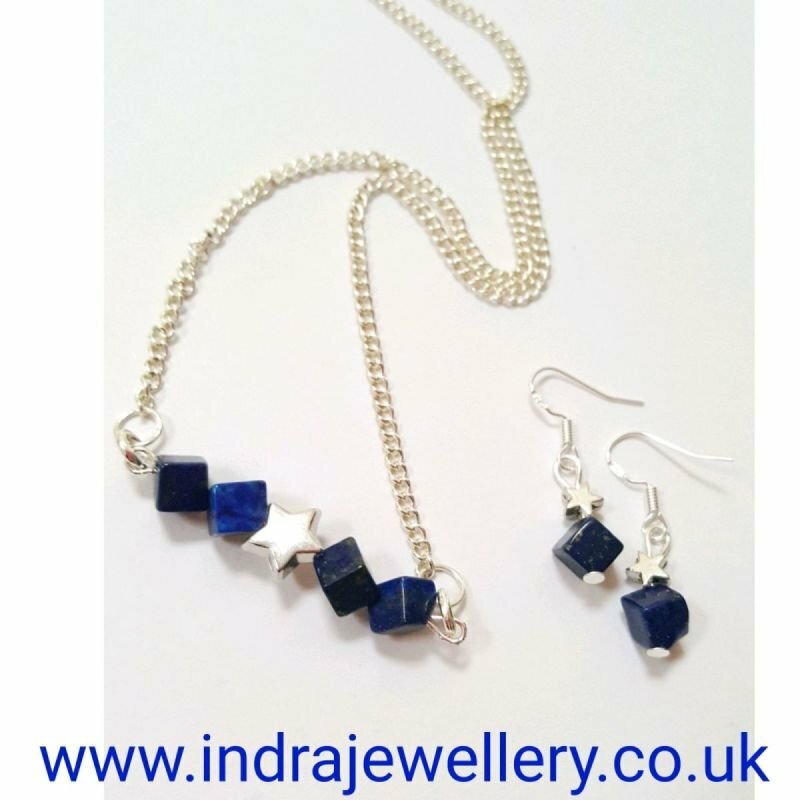 This is a beautiful lapis lazuli necklace and earring set, the stones are genuine semi precious lapis lazuli which have been carved into little cubes which makes this jewellery set that bit different! The necklace is made from 4 of these cubes and I have added a little silver star to the centre of the bar. The earrings have been made to match with one little lapis lazuli cube alongside a smaller silver star and I have used 925 silver hypoallergenic hooks to finish. The bar pendant itself measures a little over 1.5" the chain measures 16" and I have added a penny to the third picture to give an idea of the size of the earrings.